7-Minute Workout Guide. Get Fit in Just 7 minutes a Day! The scientific workout includes 12 exercises using only body weight, a chair and a wall. It fulfils the latest mandates for high-intensity effort — all of it based on science. 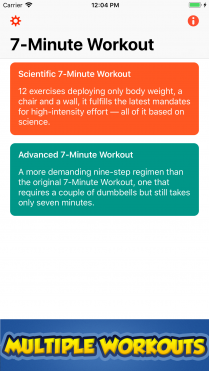 The advanced workout includes 9 more demanding exercises and requires a couple of dumbbells, but still only takes seven minutes. 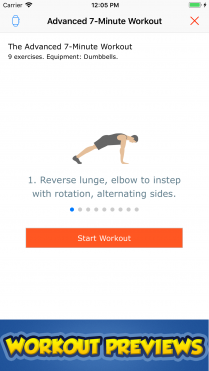 7 minute workout with animated illustrations, timers, and spoken instructions guiding you between 30 seconds of intense exercise and 10 seconds of rest. 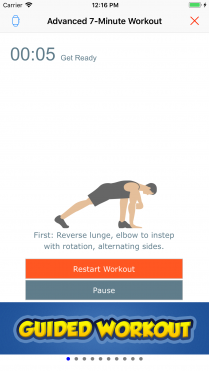 Voice guided workout, so you can complete the entire workout without looking at your device. 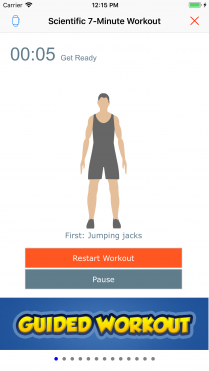 Perform workout with countdown timers and prompts for exercises and rest periods. Workout anytime and anywhere, no internet access needed. 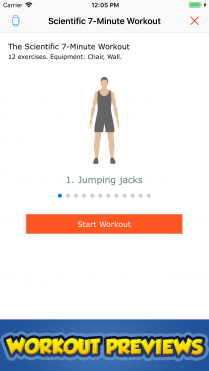 Workouts will be logged in Health App or Google Fit on supported devices. Reminder to perform your 7 minute workout daily.